A complete overhaul for the horses in Skyrim. Please contact me if you wish to reuse any assets from this mod. KrittaKitty for the horse textures from Realistic Primitive Horse Breeds. CyborgArmGun for additional edits to KrittaKitty's horse textures. moirai for the faster horse dismount animation from Faster Horse Dismounting. JZBai for the horse kick concept from Horse Kick. KahjiitRaj for the horse behavioural changes from Oblivious Horses. mitchalek for the fast dismount concept from Convenient Horses. Mike Koenig for the Whistle Get Attention sound used under the Attribution 3.0 licence. Ben Boncan for the Hey You whistle sound used under the Attribution 3.0 licence. Jaxonz for providing Jaxonz Console Plugin. The SKSE team for providing more functionality to mod Skyrim with. The SkyUI team for providing the MCM framework and SkyUILib. The Nexus for hosting the mod and supporting the community. The Nexus community for testing the mod and suggesting interesting ideas. Bethesda Game Studios for creating Skyrim. Fixed bug where whistle and adopt commands could get stuck in the busy state and not respond. Horse manes no longer clip with armor items that cover their necks (requires CHB update). Fixed horse combat AI so unaggressive horses will now correctly flee from combat once they've been hit. Fixed Last Horse Always Fast Travels option (removed erroneous call to SetPlayersLastRiddenHorse). Fixed default saddles not appearing on Arvak Rewritten and Blaze and other temporary or summoned horses. Migrated to a new way to filter horse armors based on races tied to ArmorAddons. Keywords still work too. Horses now appear closer behind the player when whistled for but they will also pop-in more often. Horses with blank names are now named ??? when they load so they can be activated by the player. Fixed version number in IHOConfigMenuScript for proper reporting to SkyUI (version now stored in the ESP). The FOMOD installation script was revised and the vanilla ESP was separated into a patch for the main ESP. Fixed the horse and player equip item logic to rely on keywords containing "ArmorHorse". Changed the herd follow command to trigger a whisle rather than a horn blow. Updated the Notes for Mod Authors section in the README. Separated the MCM into two pages: Options, Hotkeys. Converted the MCM script to use the new MCM state pattern. Added localization to all UI strings for translation support. Improved the navigation logic in the horse sub-menus. Added the ArmorCuirass keyword to the three vanilla saddles so they can be enchanted. Fixed bug where adopted horses were not deleted from the game when they unload after being abandoned. Fixed bug where player could equip any number of armor items made for horses. Simplified the script that prevents horses from equipping armor items not made for horses. Removed HorseArmorKeywords and related code because the ArmorHorse keyword is sufficient. Fixed bug where harnessed horses did not get the proper SpeedMult reduction (for Touring Carriages). Fixed bug where "LastRiddenHorse" was not set correctly while the player is mounted (for Horse Stamina Widget). Fixed bug where it was possible to spawn multiple horses from one adoption by spamming the horse ownership power. Fixed inventory access bug for temporary horses so now Blaze's inventory is accessible via hotkey (again). Fixed bug where using hotkeys with a temporary horse would work, but showed the 'I have no horse' message. Fixed incorrect speed on horses in the opening scene at Helgen (again). Replaced calls to SetFactionRank with custom ResetFactionRank to avoid weird bugs. Friendly horses will no longer spot the player while sneaking (Actor.SetNotShowOnStealthMeter). Player will now blow the horn in third person when calling either active horses or all horses. Removed the DebugHorses option as it was not entirely useful. Cleaned up the scripts and removed unnecessary logging. Extended the installation section in the README and added testing steps. Upgrading: After upgrade, go into the MCM and remove and re-add the horse powers to gain the new Horse Ownership power. Upgrading: Removed the deprecated HorseList array, so upgrading from version 1.5 or older requires reclaiming all horses. Added a lesser power that can be used to give a horse to a follower, adopt a temporary horse, or change horse ownership. The three horse powers can now be cast while mounted on a horse due to the PowerInstantRecovery keyword. Added an MCM toggle to automatically trigger the herd wait command when you dismount your horse. Added Blackreach, Soul Cairn, Forgotten Vale, Dayspring Canyon to the RidableWorldSpaces in the INI. Horses with Actor Value WaitingForPlayer = -1 are now ignored by the horse ownership scripts for inter-mod compatibility. Moved the notification messages to the INI file so they can be customized. Bugfix: Added all vanilla and DLC worldspaces to the RidableWorldSpaces in the INI in case DLCs are missing. Bugfix: Horses now only equip saddles (saddle slot 45) or items with keywords listed in HorseArmorKeywords in the INI. Bugfix: The UnarmedDamage and SpeedMult actor values for horses are now persisted directly from the INI file. Bugfix: The skooma bandit horse in Whiterun is now a temporary spawn again so she can be adopted and given a new home. Added the feature to adopt any vanilla temporary horse and own it permanently. Owned horses will now always wait for the player by default after being dismounted. Fixed scripted AI issue where horses would ignore combat after being dismounted. Fixed small typo (unused return type) causing Papyrus spam on the aggression menu. Removed player hand wave animation calls which seem to cause issues with certain mods/configs. Prevent assault alarms being caused by horses trampling or kicking dead bodies. 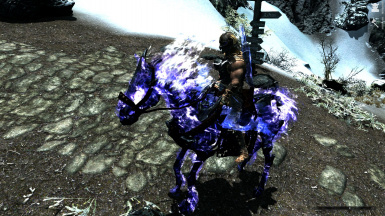 Removed Shadowmere's ESP mesh edit from the full edition for better inter-mod compatibility. Added Beyond Reach to the ridable worldspaces in the INI. Mounted casting of spells is now possible (no animations, limited targeting control). The horse stealing mechanic was completely overhauled and drastically simplified (timed update loop removed). 1K compressed textures added by default with an optional download for 2K compressed horse textures. Added player hand waving animations for horse follow/wait when not mounted and no weapons are drawn. The Can't Open Doors AI directive on HorseRace is now set to true whenever AllowHorsesInCities is false. Horses can now be reanimated after death, but they can't be ridden (removed the MagicNoReanimate keyword). The Trot/Canter Key was renamed to the Toggle Trot Key and the MCM description was improved. Simplified the Whistle script so now it just teleports the horse and sets it to follow the player. Restored the ability to access inventory on temporary horses via hotkey (no menu option). All vanilla stabled horses are now female by default to match their hostler's dialog. Cicero's horse is now initially disabled on existing save games if the Delayed Burial quest is completed. The fast Dismount script was improved to prevent the running on horseback glitch. Changed the talk/loot function to use GetCurrentCrosshairRef() instead of GetCurrentConsoleRef(). Use of Game.GetModName() function was added to reduce Papyrus log spam. Added quieter (normalized) version of Ben Boncan's whistle sound edited by snorlax420. Requirements updated to SKSE 1.7.3 and SkyUI 4.1. There is no longer a limit on the total number of horses you can own thanks to SKSE. All five stabled horses, Frost, and Shadowmere will now respawn correctly and persist on existing save games. The player is no longer added to CurrentFollowerFaction and horses are now initially owned by the player. Optimized and simplified the behavioral and combat scripts and horse AI packages. Replaced the FightOrFlight timer with a simpler HorsesIgnoreCombat MCM option. Expanded the ability to talk/search from horseback so it now works on animals and other creatures as well. Lowered the teleport distance during a whistle so the horse now appears almost directly behind the player. A list of followers to choose from is now displayed when the follower horse ownership menu is chosen. Added a message to notify the player when a suitable follower was not found for horse ownership. The herd follow and summon commands now trigger the horn blowing animation used in the civil war. Changed the PlayerHorseName message to get rid of "Player's Horse" name in both vanilla and Hearthfire. Tweaked all horse stats and reduced the scale of horses from 1.10 to 1.08 so they fit in smaller stables. 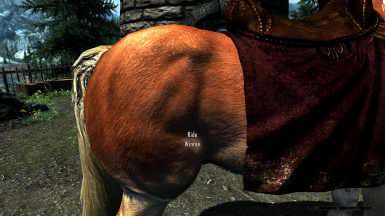 Selecting the default option for any option in the MCM now loads the value from Immersive Horses.ini. Expanded the list of mounted activation actions in the MCM to include talk/search, open inventory, etc. Added an MCM option to add/remove the horse menu and whistle powers from the player. Added a hotkey mapping to the MCM for performing a normal vanilla dismount. Added the option to unbind hotkey mappings in the MCM (apparently all I had to do was add a flag). Added LoadHotkeysOnStart option to Immersive Horses.ini to control if hotkeys load when the mod starts. Added an optional installation option for the louder horse Whistle sound found by longnight83. Fixed the herd summon hotkey so it maps to the herd summon command and not to the herd wait command. Fixed the herd follow and wait commands so they ignore dismissed horses properly. Fixed Arvak and other horses with no owners so they are claimed immediately without being stolen. Fixed vanilla issue where stealing Cicero's horse after the quest causes a CTD (overrides USLEEP fix). Added a call to IsBeingRidden before changing the scale of horses to help avoid flying horse glitches. Re-added the use of DismissedFollowerFaction for compatibility with MHIYH and similar mods. Removed display of the dismissal location for horses from the horse options menu to speed up the script. Added display of the horse's current location to the horse stats screen (home location is also displayed). Moved the crafting recipes for the Fur, Imperial, and DBH saddles to Craftable Horse Barding. Requirements updated to SKSE 1.7.2 and SkyUI 4.1. Fixed the AI packages to make persistent horses wait in place when the player leaves the cell. Fixed the AI packages to prevent horses from following the player into cities and interiors. Horses can now join the player in Solstheim, Wyrmstooth, Falskaar, Summerset Isle, Alik'r Desert, Coldharbour. 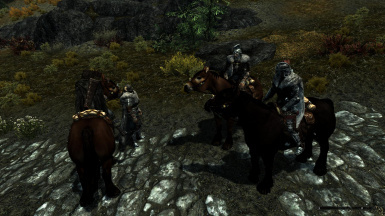 Horses can now join the player in Whiterun, Windhelm, Riften, Solitude, Markarth if AllowHorsesInCities=1 (true). Added a toggle in the MCM for AllowHorsesInCities, which can also be used to reload ridable world spaces from the INI. Added INI setting for RidableWorldSpaces to allow support for world spaces to be added by editing the INI. Added INI setting for RidableCityWorldSpaces to allow support for city world spaces to be added by editing the INI. Removed the "Can't Open Doors" flag from HorseRace so horses can now follow the player through certain doors. The Horses Owned game stat now increments after claiming a stolen horse and decrements when an owned horse dies. Horse base carry weight increased to 600 (or 800 with a saddle). Moved all horse message String variables from the INI into the IHOConfigMenuScript. Revised and optimized the Stoic and FightOrFlight horse combat states. Fixed bug where the player's ragdoll was being unnecessarily removed if the player died while on horseback. Fixed bug regression where the Horse Whistle power would trigger but had no effect. Fixed minor bug where activating a horse mounted by an NPC would tell the horse to wait for the player. Fixed minor bug with initialization of MCM debug value due to array index out of bounds. Fixed vanilla bug with SetFactionRank, which fails if the faction was originally set via Creation Kit. Fixed issue with horses (Frost) not getting removed from the horse list after being sold or given away. Fixed the horse follow AI package so horses will no longer follow you into cities. Fixed the horse kick scripts to correctly take the target's DamageResist into account. Fixed issues with fast dismount where player would float in mid-air or get stuck running on horseback. Fixed missing saddle and ownership issues on horses that respawn after death. Fixed vanilla bug - removed the 'greet corpse behavior' flag from the horse follower AI packages. Fixed vanilla bug - forcibly prevent physics derpage when the player's mounted horse dies (not a full fix). Moved Shadowmere's editor location to the dark pool so he will respawn there and return there when dismissed. Heal Rate and Stamina Rate do not persist after save/load, so they are now set to a static 1.0 for all horses. Carry Weight changes do not persist after save/load, so they are now set to a static 400 for all horses. Unarmed Damage and Speed Mult do not persist after save/load, so they are now persisted via factions (cap of 127). Unaggressive horses now use a Stoic combat state by default where they ignore combat until hit. Added MCM option to adjust time limit for the Fight or Flight state for Stoic horses when they get hit. Added hotkeys for pivoting the horse left or right while standing still (uses vanilla animations). Added a hotkey for performing a standard horse head bash attack (uses vanilla animation). Revised and simplified the scripts that handle claiming/stealing/owning horses. Improved the speed and accuracy of the talk, corpse loot, and follower ownership assignment scripts. Changed horse saddle outfit script to only run when the horse's inventory is accessed. Changed the horse kick scripts to only register for animation events when the player is mounted. Horses with saddles equipped now get a +200 carry weight bonus, visible in the horse stats. Added MCM option to enable/disable the automatic weapon draw when fast dismounting. Added an option to the herd menu for Summon All Horses and renamed the option for Dismiss All Horses. Combined the option for Whistling for all horses with Herd Follow Me and simplified the script. Added a 'Persistent' or 'Temporary' indicator for horses on the show stats screen. Hostlers now receive gold in their inventory when you purchase a horse from a stable. 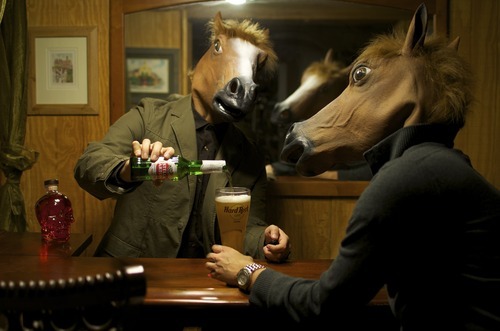 Changed the Topic Text for the stables Accept, BuyHorse, and Reject topics to read more immersively. Tweaked the weight and armor stats on the three vanilla saddles to align with CHB revisions. Horse ownership was overhauled and now has a sub-menu within the extended horse options menu. Herd whistle function was restored, rewritten, and simplified for batch processing. Added horse activation and speed mult compatibility for mods that harness horses using HorseHarness. Horse SpeedMult is now always restored to normal when the player dismounts. Fixed bug where horses attempt to equip/wear humanoid weapons in their inventory. Fixed rare bug where the horse count could miscount in certain situations. Fixed bug with MCM not starting when the mod is loaded on an existing save game or a new game. Fixed bug with the five horses bought at stables respawning before death and clearing their inventories. Fixed bug with Shadowmere potentially respawning before death and clearing his inventory. Fixed bug with ownership of Frost during his quest and for any horse whose ownership status changes. Fixed bug with actor values not persisting when changing horse aggression and/or confidence. Fixed bug with the crafting menus allowing hotkeys to trigger bound horse functions. Fixed bug with Horses Stolen stat counting every steal alarm sent out on a stolen horse. Fixed bug with dismissed horses not showing all horse menu options. Fixed bug with stolen horses remaining stolen temporarily after the player gets a bounty. Fixed bug where horses could be whistled for and appear in interior cells. Fixed vanilla bug where the Whiterun stables horse was based on EncHorseSaddledBlack, not WhiterunPlayerHorse. Fixed vanilla bug where stabled horses were set to respawn using EncHorse variants, not PlayerHorse variants. Reapplied USKP fix to Katla's farm horse and Riften stables horse that somehow got removed. Dropped all edits to HorseForCarriageNew for compatibility with UDGP. Improved the script that handles horse trotting using the SpeedMult actor value for possible W+C compatibility. Lowered trotting SpeedMult from 60 to 50 for the hotkey script. Minor edits to fur saddle cost and DBH saddle crafting materials. Removed script that increments Horses Owned stat. Horse breed is now determined based on template name first, then actor base name, if the breed exists in the INI. Temporary/Random horses now have an abridged horse options menu, but they can not be added to the herd. Horses that are whistled for will wait for you once they reach you if they aren't currently set to follow you. Horse inventory can now be accessed via hotkey only if the horse is close enough to the player. Added a Horse Whistle lesser power to the player and doubled the horse teleport range. Added a Horse List Menu lesser power to the player. The five horses sold at the stables are now unique and have names: Queen Alfsigr, Cinnamon, Halifax, Griselda, Winnie. Frost no longer gets disabled regardless of his quest outcome so you can go back and steal him again later. Edited Frost's identity papers so he has a mother, a date of birth, and his color is white. Slight modification to a Letrush's dialog topics so you can't get him to pay you for Frost unless you dismount. The Smuggler's Horse behind Whiterun is now black and named Midnight, has an inventory, and will respawn on death. Most Black Fell Ponies, Haflinger Horses, and Fjord Horses now wear Imperial Saddles. Equippable horse items are now controlled by the HorseSlotMasks variable in Immersive Horses.ini. Horses now only keep armor items equipped which use one of these slot masks: 40,44,45,46,47,48,49. Restored the default outfits on all non-unique horses and excluded them from the saddle equip script. Fixed the odd looking fences and backwards opening gates at the Whiterun stables in vanilla. Added an unsaddled horse with a sandbox AI package to the horse pen in Whiterun. Improved compatibility with other horse mods. Whistling for horses is now integrated into the main mod. The Whistle mod is no longer necessary. Hotkeys are now unassigned by default and can be individually assigned or unassigned at any time. The 'All Horses' submenu is now the 'Herd Menu' and the options were renamed as well. The herd whistle/follow/wait commands no longer apply to dismissed horses. Hotkeys were added for the herd commands, as was a shortcut to the herd menu. Reduced horse gallop speed from 900 to 800, base health from 500 to 300, base damage from 14 to 12. Tweaked various breed stats in the Immersive Horses.ini to improve balance. Tweaked horse follow distance so horses follow further away and run into the player less. Limited the protected flag to apply only to horses the player owns, if the MCM option is enabled. Shadowmere and Frost are no longer protected by default. Use the MCM option instead. Removed horse name from the 'ride' option in the menu text. Added a toggle in the MCM to enable or disable corpse looting while mounted. Added a toggle in the MCM to enable or disable the display of status messages for horses. Added a toggle in the MCM to control if the last ridden horse appears nearby after you fast travel. Fixed bug where horses equip humanoid armor, but it only takes effect AFTER inventory is closed. Removed unintentional edit to Karinda horse. Added fast dismount hotkeys for dismounting to the rear, left, or right side of the horse. Moved all mounted hotkeys to their own section in the MCM. 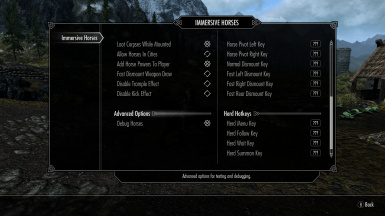 Hotkeys can now be preset and loaded from the Immersive Horses.ini file. Improved mount/dismount detection and hotkey registration script. Added None check to GetHomeName function for random horse encounters with no editor locations. Added the option to abandon horses to remove them manually from the horse list. Randomly encountered horses can no longer be claimed by the player and are excluded from horse options. Fixed bug where randomly encountered horses were not getting assigned to a breed in the INI. Reduced max stolen horse time to 3600 seconds (1 hour). Increased horse stamina needed for jumping from 5 to 10. Toggling Protect Horses in the MCM now immediately applies to all horses you own. The dismiss command and horse stats page now reference the horse's home location. Fixed double bounty bug with stolen horses. Fixed ghost horse name bug in horse list when an owned horse dies. Added menu option to dismiss all horses. Horses will now persist being stolen for the full duration even after the player gets a bounty. Initialization script has been significantly robustified. Reduced trample cloak effect radius from 7.2 -> 7.0. Increased maximum owned horses to 40 (100 seems a bit excessive). Horses can now be dismissed and they will return to the stables or area where they were found. Expanded use of the hotkeys to apply to the player's last ridden horse, mounted or not. The player's last ridden horse no longer automatically fast travels with the player. Improved stolen horse functionality so you can't just wait or fast travel to bypass it. Stolen horses are restricted to mounting/dismounting until the stolen time elapses. Opening the horse list menu will now shortcut to the horse options menu if you only have one horse. Fixed no saddle bug on horses which spawn already mounted. Fixed horse speed bug if the horse is reloaded in trot mode. Lowered the item weights on all barding sets in Craftable Horse Barding. Removed the vanilla horse regen during combat as it is now overpowered. Tweaked the stats on all horse breeds and the unique horses. Various optimizations to the scripts and minor bug fixes. Horses now equip the best armor/clothing in their inventory that fits, regardless of slot mask. Horses now share crimes with the player and stand alert when the player has weapons drawn. Fixed current displayed equipped item in horse inventory doesn't refresh immediately bug. Fixed unowned horses sending out steal alarms when mounted bug. Added Stolen state for horses to make it much more difficult to get away with stealing one. Improved horse recognition and tracking code. Improved horse saddle equip initialization script. Fixed broken intro sequence for the Unbound quest. Removed My Personal Steed feature in favour of just tracking the last ridden horse. Moved most of the stables quest edits into a separate ESP for compatibility. Optimized array handling code for efficiency. Improved the ability to talk to NPCs and search NPC corpses while mounted. Horse jump kicks and trample effects that hit successfully now cost the horse 25 stamina points. Damage from horse jump kicks and trampling is now mitigated by the target's armor rating. Reduced the unarmed damage for all horses by about 10 points. Added MCM options to toggle the damage and knockdown effects for trampling and kicking. Added MCM options to choose the standing/sneaking/mounted activation action for horses. Added MCM hotkey mappings for whistle, talk or search, open inventory, show stats. Added Dead state and improved how horse death is handled. Added level and health regen stats to the horse stats screen. Armor rating on the horse stats screen is now fixed. HOM displaying horses as stolen even if they had no owner is now fixed. Show HOM sneak toggle not working in the MCM is now fixed. Horses equipping different saddles when they reload or you fast travel to them is now fixed. Prevented equipping a saddle while riding the horse to prevent Havok wonkyfritz issue. Fixed issue where horses were getting removed from the horse list menu in improper situations. Added options to disable key mappings in the MCM. Restructured the menus and added more verbose debug output logging for horses. Added HOM option to choose a personal steed for the player. Horses in imperial allied holds now wear imperial saddles. 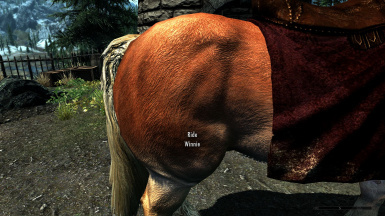 Cicero's horse now wears a DBH saddle. All horse stats are now loaded from the INI file so you can change any stat for any horse breed. Horse saddles and barding are now equipped based on their slot mask (45) so the keyword is no longer necessary. The mod is now compatible with caparison armor items based on their slot mask (47). Compatibility with the Whistle mod is now dynamic so you can install/uninstall it before/after IHO and it works. 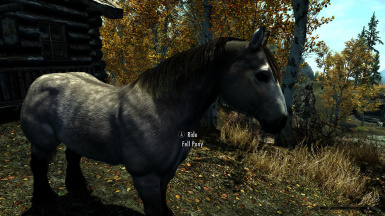 Immersive Horses is a lightweight overhaul for the horses in Skyrim built on SKSE and SkyUI. 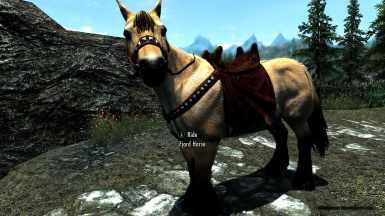 The goal of Immersive Horses is to improve on nearly every aspect of Skyrim's horses while remaining as true as possible to the original game. Immersive Horses adds a range of new commands and related options for horses as well as an integrated ownership and follower system designed specifically for horses. 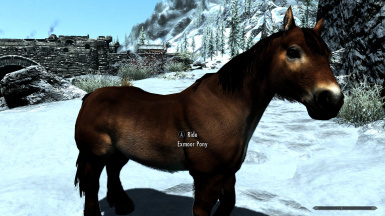 It is now possible to buy, steal, or adopt just about any horse from vanilla Skyrim. Horses you buy at the stables and unique horses you find in quests can be owned permanently once you claim them. Many horses in the game are temporary encounters which means they can not be owned unless they are made permanent through adoption. Horses from other mods can only be owned temporarily unless special changes are made to those mods to allow permanent compatibility with Immersive Horses. Please note that horses added to the game by other mods may not be adoptable. Any horse that you acquire permanently on your travels is automatically added to your herd. Horses in your herd can be managed and summoned from almost anywhere in the game, including other worldspaces. If you find or steal a temporary horse and you want to keep it then you must first ride the horse to a suitably different location and then dismount it there to gain ownership. You can not wait, fast travel, or use any other horse options while you are mounted on a stolen horse. Once claimed, use the horse menu or horse ownership power to adopt the horse and make the current location its new home which allows you to keep the horse permanently. Choose wisely as this can only be done once per horse. "Ride" or "Dismount" - Normal actions for mounting or dismounting a horse. "Follow Me" or "Wait Here" - Command the horse to follow you or wait where it is. "Talk" - Talk to NPCs (while mounted). Also used to search NPC corpses from horseback. "Show Stats" - Display the horse's statistics: health, stamina, speed, etc. "Adopt" - Adopt the horse and give it a home (only works for horses from the vanilla game). "Whistle" - Whistle for the horse to appear and follow you. "Open Inventory" - Access the horse's inventory and add/remove items. "Dismiss" - Dismiss the horse to return to its home. "Change Ownership..." - Change who owns the horse or abandon it entirely. "Change Aggression..." - Options: Unaggressive, Aggressive, Very Aggressive, Frenzied. "Change Confidence..." - Options: Cowardly, Cautious, Average, Brave, Foolhardy. "Rename..." - Change the horse's name. "Swap Positions..." - Swap the horse's position with another horse in the list. "Herd Follow" - Command all active horses to follow you. "Herd Wait" - Command all active horses to wait for you. "Herd Summon" - Summon all of your horses to follow you. "Herd Dismiss" - Dismiss all of your horses to return to their homes. "Whistle" - Whistle for your last ridden horse to follow you. "Horse Menu" - Display the horse menu to manage any of the horses you own. "Horse Ownership" - Change a horse's owner or adopt it. Also used to give horses to your followers. If you want a different saddle for your horse then you will need a mod like Craftable Horse Barding. Once installed, various new saddles and armours for your equines can be crafted or purchased from the stable masters around Skyrim. Simply add your newly purchased or crafted item to your horse's inventory and your horse will equip it and wear it just like a follower would. Horses with different colors or markings are recognized as different breeds and each breen is given distinct strengths and weaknesses. Efforts were made to balance stats evenly and to assign stats to horses that seemed most appropriate. Various stats for each breed or unique horse can be changed in the Immersive Horses.ini file. When installing Immersive Horses you are given the option to include KrittaKitty's beautiful horse textures from Realistic Primitive Horse Breeds (used with permission). The retexture applies to all of the regular and unique horses from the vanilla game and comes highly recommended. Frost is descended from supernatural horses and is of the best breeding stock in Skyrim but in vanilla all he gets is a health and stamina boost. Come on now, Bethesda. Frost has been made completely immune to the stuff he's named after and he can now run faster and gallop longer and farther than any other horse in Skyrim. He's also not too bad at defending himself. Frost is the fastest horse in the game. Frost is completely immune to Frost damage. Frost has increased health, stamina, damage, and carry weight. Frost can be stolen again after his quest, regardless of the outcome. Frost's identity papers now contain his mother's name, his date of birth, and his white color. Frost will respawn at the Black Briar Lodge stables if he dies. Shadowmere is a supernatural horse so he should be a significant upgrade to a regular horse. Shadowmere is now a bit faster and has more stamina than other horses. He's also still quite aggressive and has plenty of health and stamina to tank effectively. Shadowmere is the strongest horse in the game. Shadowmere is faster than most other horses. Shadowmere has increased health, stamina and unarmed damage. Shadowmere will respawn at the dark pool if he dies. Arvak has practically infinite stamina (100000 to be exact so not really infinite, but way more than you can use). Arvak does not persist, so his inventory is not accessible and he is reclaimed each time he is summoned. Horses are too slow in vanilla and they don't have large stamina reserves like you'd expect a horse to have but they do have ridiculously high stamina regeneration. This limits you to canter and gallop as the only practical gaits to use while riding and the gallop is too slow and doesn't last long enough due to the low stamina. Immersive Horses are able to gallop faster and much farther than vanilla horses but they will also need to rest for a reasonable period of time before they can do it again. Horse speed and gait progression have been meticulously tweaked and balanced to allow for more fluid and natural horse movement (especially with a gamepad/controller). Keyboard users can finally trot with their horses by mapping a hotkey in the MCM which can then be used to toggle between walking/trotting and trotting/cantering. Horses have increased trot speed range. Horses canter a bit faster. Horse base stamina has been drastically increased. Horse stamina regeneration has been drastically reduced. Horses are pretty useless in vanilla Skyrim and you're limited to using only one at a time. Vanilla horses are also too weak and they don't have any mounted special attacks. Immersive Horses expands horse abilities significantly and adds in a variety of new equine ways to attack your enemies. Horse base health, stamina, and unarmed damage has been increased and can be customized. Assign hotkeys in the MCM to perform head bash attacks, pivots, and fast dismounts. Jumping and/or landing from a jump on a horse will kick nearby enemies, causing damage and knock-down. Galloping on a horse will trample enemies in your path, causing damage and knock-down. Horses are unaggressive by default and will not flee or attack unless they are attacked first. 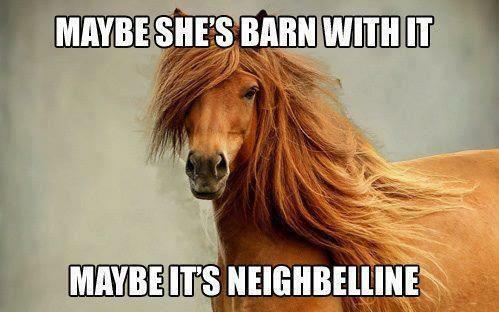 Horses can be renamed and reassigned to any of your followers. Horses can be configured to follow you into cities but not into interior locations. Horses can join you in new worldspaces from other mods by adding them to Immersive Horses.ini. Fast dismounts are now possible on the left side, right side, or rear of the horse and they can be assigned to three different hotkeys in the MCM. Executing a fast dismount will make your character jump off the horse immediately and also draw any equipped weapons on the way down, if that option is enabled. The normal dismount also happens significantly faster and the zoom effect was removed. Fast dismount hotkeys can be assigned via MCM to quickly dismount your horse and optionally draw your weapons. Different hotkeys can be assigned for quickly dismounting on the left side, right side, or rear of the horse. The normal animation for dismounting a horse plays significantly faster (but is still realistic). Removed the zoom effect and tweaked the yaw for the horse dismount camera (see Immersive Horses.ini). Mounted casting uses your normal left or right hand attacks so separate hotkeys are not required. Mounted casting consumes magicka. Not having enough magicka will trigger the failure sound and message. Spells require their normal charge times in order to be cast successfully but the charging animation is not shown. Animations/sounds are not triggered when casting on horseback but animations/sounds for the effects still occur. Projectile spells are always cast in the direction the horse is facing and they shoot out of the player's face. Concentration spells work but you can only use one at a time and they also shoot out of the player's face. Dual cast and ritual spells can also be cast on horseback... apparently. Various tweaks and fixes to horses have also been made. All relevant changes from the Unofficial Patches are included. Attack range while mounted on a horse has been increased: 135 -> 170 (see Immersive Horses.ini). Horses no longer have the 'greet corpse' behaviour in their AI packages. 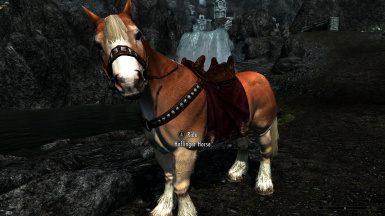 Horses from imperial holds now wear Imperial Saddles; Cicero's horse now wears a Dark Brotherhood Saddle. Stable masters now receive the appropriate amount of gold in their inventory when you purchase a horse. Horses purchased at stables are now female to match the in-game dialog. Fixed the odd looking fences and backwards opening gates at the Whiterun stables. Cicero's horse near Loreius Farm crashes the game if stolen and the player leaves the area - USLEEP Bug #15242. Dead player horses now respawn correctly at the various stables - USLEEP Bug #19877. The horse at Katla's Farm now respawns in the correct place - USLEEP UESP. Your followers can ride any horses you give them ownership of but only if you have a follower mod installed that supports the feature. 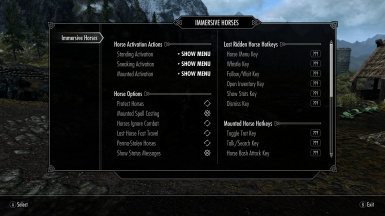 Immersive Horses intentionally limits itself to only managing horses and horse ownership in order to maintain maximum compatibility with the various follower mods. 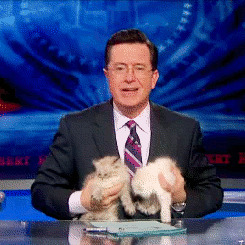 The direct management of non-horse followers is out of scope for this mod. For compatibility with Amazing Follower Tweaks, see Immersive Amazing Follower Tweaks by chinagreenelvis. Skyrim Script Extender (SKSE) 1.7.3 or newer. 1.Run the installer using Mod Organizer or NMM. 2.Use LOOT to sort your load order. LOOT is built into Mod Organizer. 3.Use TES5Edit to find and resolve direct conflicts. 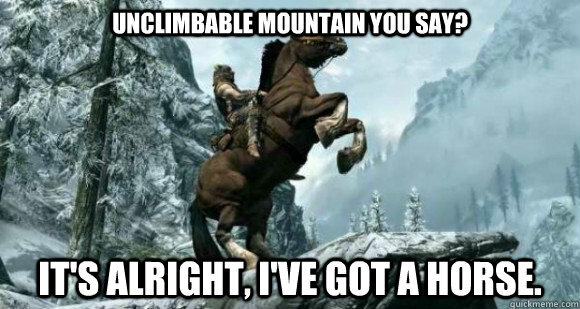 1.Launch Skyrim with Immersive Horses installed. 3.The game should load you in as the default nord character in the house at Whiterun stables. 4.Exit the house and buy the black horse from Skulvar at the stables. 5.Mount the horse to gain ownership. 6.Test that the horse will follow/wait/dismiss on command. 7.Ride the horse North and find the skooma bandit hideout behind Dragonsreach. 8.Dismount and steal the black horse. 9.Ride the stolen horse to a nearby farm and dismount it to gain ownership. 10.Use the horse menu or horse ownership power to adopt the stolen horse. 11.Summon both horses and change/remove their saddles and change the items in their inventories. 12.Fast travel to another major hold and summon both horses. 13.Verify the horses have the same saddles and retain the same items in their inventories. 14.Kill the horse you bought and then return to Whiterun and verify that you can buy a new horse. NOTE: If you have Craftable Horse Barding installed you can open the Immersive Horses.ini and add CheatMode=1 under the [General] section to gain access to all saddles and barding at game start. This option is only meant to be used for testing. Remove all of the mod's files and start a new game. 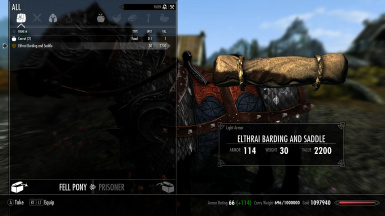 Skyrim save games store plugin and script related data long after the mod has been removed and although there are tools available for 'cleaning' saves, it can be quite tedious and may not be completely effective, which can then cause even more issues. Always be prepared to start a new game, revert to a previous save, or finish the game with the mods you have when installing or uninstalling any type of complex and/or scripted mod. Immersive Horses doesn't play nice with other horse overhauls like Convenient Horses, Better Horses, etc. Special installation is necessary for compatibility with Amazing Follower Tweaks. Camera flips 90 degrees to the left or right when mounting (vanilla bug). Fixed by Enhanced Camera! Rear left hip distortion issue while trotting (vanilla animation/rigging bug). Fixed by Horses Revamped! Dead Body Collision Fix causes an issue where the player floats around in the air briefly if the horse dies while it is mounted. Q: My horse won't follow or wait for me or just walks away. What's the problem? A: Most likely, you have another mod or quest overriding the AI packages for that horse in your game. For example, you might have another horse mod that adds horses to the game which have their own AI packages so changes may need to be made to that mod for full compatibility with Immersive Horses. Also be sure to test horses on a brand new save game to make sure the issues you are facing are not being caused by your current save game. Q: How can I customize stats for a unique horse or breed? A: Certain stats for each of the horse breeds can be customized by editing the actor values for the breed profiles in the Immersive Horses.ini file. Q: How script intensive is this mod? A: Immersive Horses is designed to be as light and efficient as the Papyrus scripting language will allow and no intensive tasks are involved in its operation. Animation event listeners are used only when necessary and scripts are applied to horses at the race level, rather than running a constant update loop on the player via a cloaked magic effect or similar solution. Basic game engine functionality was utilized wherever possible. Q: Why do these files conflict? Is it OK for them to overwrite? 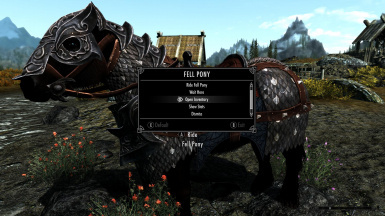 A: These are resource files shared between mods which come packaged with Immersive Horses for your convenience. 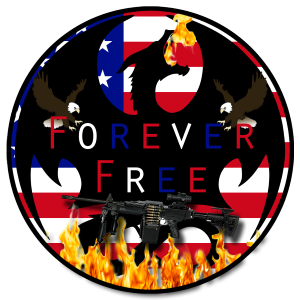 There is no problem here and allowing this mod or any other mod to overwrite them in your current installation will not cause issues because the files should be identical. 1. First, open or create a new horse actor in TES5Edit or the Creation Kit. The simplest method is to copy an existing horse actor and reuse one of the existing horse breeds for your horse, so choose one of the vanilla actor templates (EncHorseSaddledBlack, EncHorseSaddledBrown, etc.) as the template for your horse and tick the 'Use Traits' box in the 'Template Data' section. This step allows Immersive Horses to magically (BY THE POWER OF SKSE) retrieve the form name of the template from Immersive Horses.esp (Fell Pony, Haflinger Horse, etc.) and then load the breed stats from the Immersive Horses.ini file based on that name. 2. Next, add the horse to the 'PotentialFollowerFaction' and be sure to UNCHECK 'Respawn' and CHECK 'Unique' on the horse actor. This step will make it safe for Immersive Horses to give the player access to the horse's inventory and for the player to claim the horse. While you're there, check 'does not effect stealth meter' as well so the horse won't spot you when you're sneaking. 3. Duplicate and rename the AI packages from Immersive Horses into your mod to avoid needing to add Immersive Horses.esp as a master. Remove the 'IHO' prefix and replace it with a prefix for your mod and simply add these AI packages to your horse, then UNCHECK 'Use AI Packages' in the 'Template Data' section. This step gives the player the ability to command the horse to follow, wait, dismiss, etc. 4. If the horse is NOT marked essential and you want it to respawn when it dies, then add a custom death respawn script to the horse similar to IHOActorDeathRespawnScript (copy, paste, rename). Alternatively, if the horse has a stables quest (so it can be purchased) then add the PlayerHorseScript to the alias for the horse in the stables quest which effectively does the same thing. Remove any AI packages from the horse alias in the stables quest so the AI packages on the horse will prevail. This step is necessary because checking the 'Respawn' box will respawn the horse even if it isn't dead, which will annoyingly clear its inventory, actor values, factions, etc., whenever it unloads from a cell. 5. If you want your horse to use one of the vanilla saddles, then simply choose one of the vanilla horse outfits for your horse. Immersive Horses automatically changes these outfits so the saddles can be added or removed from horse inventory. If you want to use a custom saddle armor item then make sure it is marked as 'playable', give it some reasonable stats, and use the inventory model Actors\Horse\HorseHide.nif if you don't have one. Additionally, you will need to add HorseRace or CartHorseRace as an alternative race to your custom saddle so it can be worn by horses. See the following tutorial for details on making armor items playable/craftable: Making an item craftable for Skyrim. USLEEP by the Unofficial Patch Project Team. Skyrim Startup Memory Editor by Queue.